Tyran’s solo show, “A Light in the Dark” was commissioned by the Sydney Music theatre Festival in 2012 and subsequently played sell out seasons at The Vanguard Sydney, Auckland and for the Noosa Cabaret Festival. Tyran won the Glug award for best cabaret performer for the show. In 2014 the show played New York. “Tyran Parke never fails to astound and delight in live performance. His new one man show Children and Art, which debuted at the Art Gallery of NSW on Friday is no exception. A masterful creation of subtle skill and emotional depth, this cabaret has to be one of the most emotionally honest and shattering to be seen on a Sydney stage in years…Parke’s skill as a storyteller is truly second to none. As he guided his audience through dark tales of his mothers sudden passing from a severe asthmatic episode and how each of his two brothers learned to cope in the aftermath, he created moments of stunning emotional clarity, joy, humour and pain. By the end of his rendition of the Don McClean standard ‘Vincent’, there was not a dry eye in the house, while his anthemic comic tour de force ‘Choose Happy’ continues to delight. 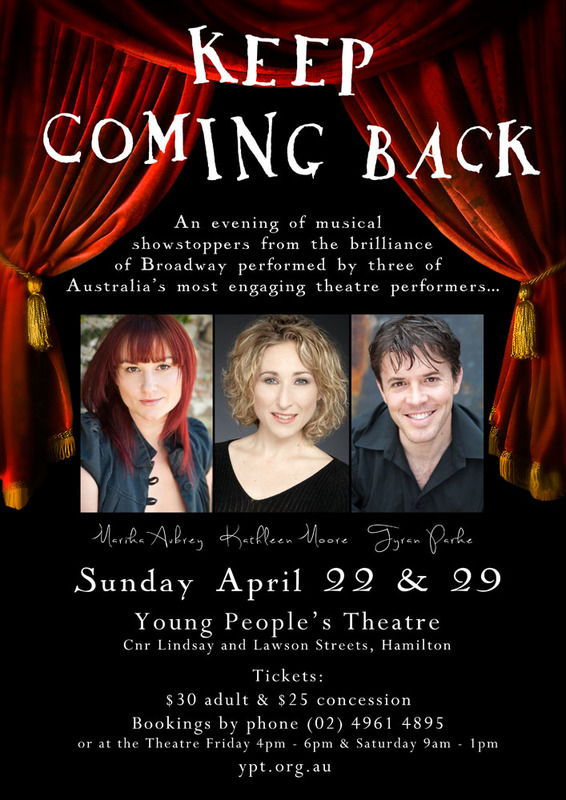 At a young age, Parke is a veteran of the music theatre and the cabaret stage who continues to go from strength to strength. Children and Art is once again a mightily challenging but brilliantly executed display of his capacity to write, to direct and to perform. It is with talent such as this that the independent music theatre scene in Oz has rebuilt itself in recent years and it is with endless fascination that we are permitted the joyful experience of watching them prosper and grow. At this stage Parke remains an absolute must see solo performer. Capable of writing a biographical one man show with genuine pathos, wit and power, he goes far, far beyond the oft delivered musical theatre performer singing his hits. It can only be hoped that other audiences around Australia will be able to see Children and Art and soon. But then with Parke a clamoured for favourite on stages in New Zealand, Australia and in New York, he’s no doubt got many a project ahead in 2014. Needless to say, if you see his name on a bill, grab a ticket. Oh and take your tissues. Tyran was a regular artist on Bert Newton’s television program, ‘Good Morning Australia’ and at ‘Star City’ in Sydney. He also starred in ‘Listen to My Heart’ in 2007 at the Statement Cabaret Lounge. He regularly performs at the Sydney Theatre Company All Star Cabaret. Tyran’s experience in cabaret doesn’t stop with performing. In May 2005, (having previous been cabaret director at the Side-on Café) he joined forces with Alistair Thomson and Amanda Buckworth who collaborated on the very successful ‘Raise the Roof’ concert for the UNICEF Boxing Day tsunami appeal. Together they formed TAA Cabaret that was housed in the old State Theatre Ballroom, the Statement Bar/lounge, presenting weekly cabaret of the highest quality. This subterranean lounge was open for cabaret every Saturday night under the banner of Statement Cabaret and proved phenomenally successful, presenting such artists as; Kaye Tuckerman, Lisa Schoew, Queenie van de Zandt, Phil Scott, Avigail Herman, Melissa Langton, Trevor Ashley, Jane Badler, Natalie Gamsu, Joanna Weinberg, Chloe Dallimore, Katrina Retallick, Margi De Ferranti, Hayden Tee, Josh Quong Tart, Genevieve Lemon, Aunty Mavis, Saskia Smith, Belinda Wollaston, Amanda Harrison, Stuart Maunder, Jennifer Peers, Brendan Irving, Darren Mapes, Lisa Adam and the graduates from WAAPA. All of the shows were acclaimed with several going on to further seasons at such venues as The Opera House and The Ensemble Theatre. Statement Cabaret was established to revitalise a dwindling industry and a struggling art form. Through regular presentations of the best cabaret Australia has to offer, ‘Statement’ contributed greatly to the local arts scene and brought a new audience to an ever-exciting performance style. ‘Statement’ firmly established itself as Sydney’s premiere venue for classy, contemporary and cutting edge cabaret. This achievement was recognized in winning funding from the City of Sydney Council. ‘Statement Cabaret’ closed early 2008 at the height of its success due to the ongoing time commitments with other TAA projects. TAA feels very proud of its record in delivering the most exciting and varied performance styles from the best of our established stars and emerging talent during its time at Statement. Tyran frequently runs courses in Cabaret construction and performance through NIDA. 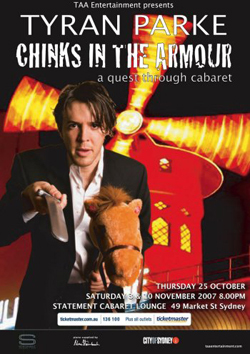 The Show, ‘Chinks in the Armour’ opened at Statement Cabaret and after a successful season was revised and renamed, ‘A Little Knight Music’, playing, Sydney, Melbourne, Perth, Newcastle and New York’s, Don’t Tell Mama’s. “There have been scant few cabaret debuts as good as this one; commandingly sung and alternately interesting, funny and touching”. Peter Leavy, Cabaret Scenes New York. With Lena Cruz, Tyran developed a new cabaret named ‘The Singer’s Guide to the Universe’ which was a huge success in it’s initial run at The Stables Theatre, Sydney – and toured nationally to great reviews. The show was originally produced by Launchpad, directed by Brett Wood and musically directed by Michael Tyack. Tyran performed in Cabaret at ‘Capers’, Melbourne in his show, ‘Since You Stayed Here’ which he wrote and directed with Stephen Amos. So successful was that show that he was invited back for a full season the following year. 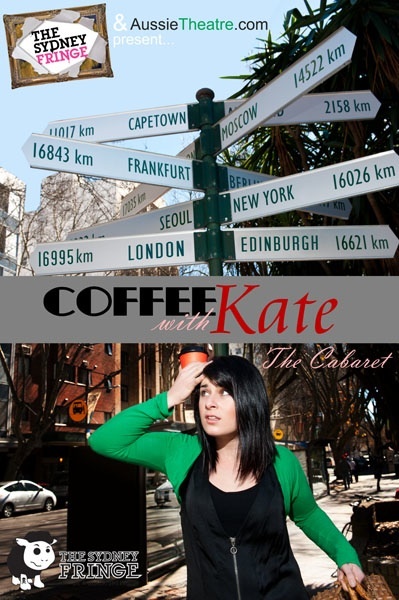 In 2010, Tyran directed Kate Walder in her show, ‘Coffee With Kate’, which transformed Walder’s popular theatre blog into a successful cabaret for The Sydney Fringe Festival. He remounted the production in May 2010 at Slide. Tyran’s most recent show, ‘A Light in The Dark’, began life in the Sydney Musical Theatre/Cabaret Festival in August 2012 and tours 2013. “This was an excellent evening of cabaret, or performance in any genre. It was a solid way to start the Australian Cabaret Series. Tyran Parke is a talented storyteller with a fine presence…All personal tales were honest, realistic, soul-searching and even appealingly self-deprecating at times. In typical cabaret style Parke’s stories continued between an eclectic range of numbers, but were also smoothly woven between verses of songs…This was pure entertainment. As a cabaret event it was slick and well-structured. It used Parke’s repertoire collected from experiences as an actor, musical theatre enthusiast and star, director and teacher…Tyran Parke’s well-paced cabaret tale hit the mark with its incredible range. Spoken and sung moments of comedy never failed…This was quality cabaret which was at no time pedestrian or clichéd. Such versatile artists are not to be missed.” Sydney Arts Guide. Tyran returned ‘Children and Art’ to Sydney at the Hayes Theatre Cabaret Season to great acclaim (see reviews). 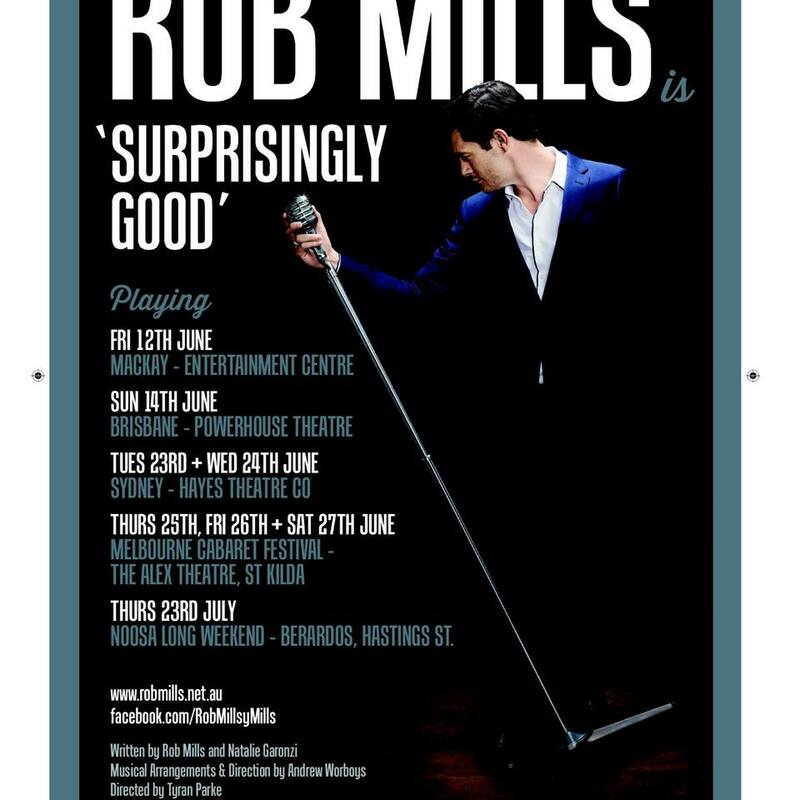 He then directed Rob Mills in his debut show, ‘Rob Mills is Surprisingly Good’ which recieved acclaim across Australia and was nominate for Best Cabaret at both the Sydney Theatre Critics and Glugg awards.